TechGyan, a Mumbai based Cloud Solution Provider recently rolled out a Comprehensive Digital Transformation Solution for The Bombay College of Pharmacy (BCP) a pioneering institution in Pharmaceutical education in India. BCP was founded in 1957 by the Indian Pharmaceutical Association – Maharashtra State Branch (IPA-MSB) with financial assistance from the Government of Maharashtra and several pharmaceutical corporations. Since its inception as a college offering a Diploma in Pharmacy, the college has grown in stature and at present offers Bachelors, Masters, and Doctoral programs of study in Pharmaceutical Sciences . It has won the prestigious “Best Industry Linked Institute for Pharmacy” category from AICTE-CII for 3 years in a row in 2013, 2014 and 2015. Fill the gaps identified by the detailed study of existing Technology Infrastructure by the Team TechGyan. Provide a Platform to the Institute which could be leveraged for comprehensive Digital Transformation . For Identity Management , a Hybrid Azure Active Directory was implemented..
All Systems were upgraded to Windows 10 Education and Office 2016 Pro Plus Education . These were then managed by Windows Intune Education which did an effective job of Device Management, Application Management , Device protection with Windows Defender, and Patch Management. Email Management : The Google Mail was replaced by Microsoft Office 365 for Education. All the connected systems had their Outlook 2016 configured with Exchange Online, which is a part of Office 365 . OneDrive and basic SharePoint Team sites were setup and users were asked to create and documents in OneDrive and SharePoint . This minimized the data loss due to document security . Azure Platform for Campus Automation was setup . The Institute is in the process of rolling out a Campus Automation System based on Azure Platform. 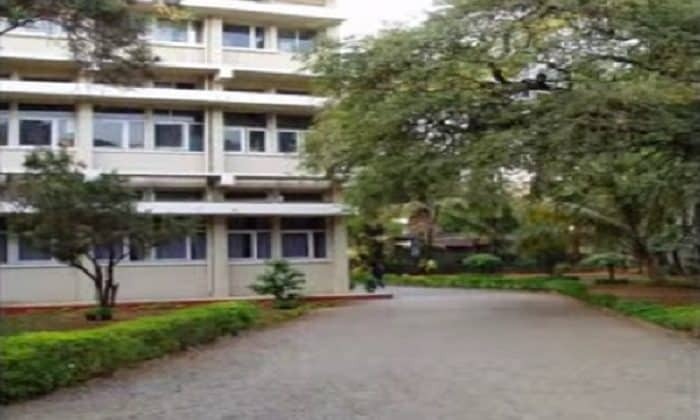 “The Bombay College of Pharmacy had a large footprint of legacy systems in the form of Windows XP, Windows 7 and Windows 8 with older versions of Microsoft Office installed in them. Security of their entire infrastructure and moreover their data was critical. We took a strategic approach and looked at securing the core operations of BCP first and are looking to enhance the collaboration by enabling Microsoft Teams, OneNote and Yammer. BCP is deploying its campus automation system on Azure, which will allow for further efficiencies ” Suresh Ramani, CEO, Techgyan. 50% reduction in IT support calls, enabling the IT staff to focus more on process enhancements. 75% reduction in data loss thanks to the migration from device storage to cloud storage. 20% reduction in email support calls and a more user-friendly experience with Exchange Online. Bombay College of Pharmacy undertakes Digital Transformation in its Diamond Jubilee Year 0 out of 5 based on 0 ratings. 0 user reviews.